20 minutes and it was life behind bars. That’s all it took for two German Brothers who were convicted for selling marijuana to receive their sentence. In what many have referred to as a measly 20-minute trial. Selling weed in Germany would have been much better for the two brothers. Unfortunately, they were not arrested in Germany. They were arrested in the Greek city of Patras. After their trial, they received a sentence of life in prison in addition to a fine of a hundred thousand Euros each. Get ready for the plot to get thicker. 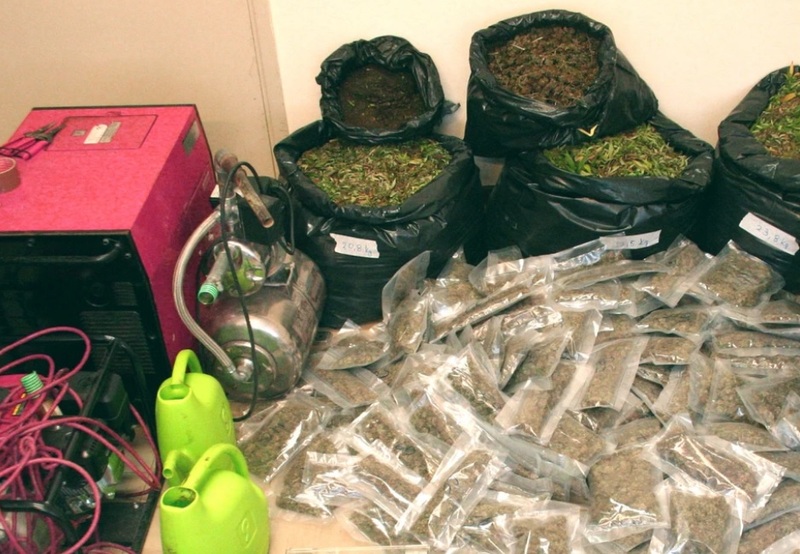 Police seized a total of 1 kg of cannabis flowers or buds as well as 100 kilograms of unprocessed hemp. Hemp is much different than medical or recreational cannabis. Unlike recreational or medical cannabis hemp does not contain enough THC (delta-9-tetrahydrocannabinol) to produce any intoxicating effects. The two brothers have stated they found the trial process unfair and that they were even lied to. While their sentence is for drug trafficking, they claim they were only facing possession charges according to what authorities told them. Additionally, the interpreter which is required to be present because the brothers do not fluently speak or understand Greek was interrupted significantly and left out part of what the judge said to the brothers. The oldest brother admitted he couldn’t follow the trial. A year later both brothers sit outraged in prison with the opinion that their trial was not a fair one. The sentencing is unclear. Were they charged with drug trafficking with intent to sell or was it drug trafficking with distribution charges? The value of the Cannabis confiscated was significant enough that it could have weighed on the sentencing. The two brothers picked the wrong city to mess with cannabis in. Back in 2015, the Greek Supreme Court approved a ruling that applied life sentencing for drug traffickers if their profit succeeded 75,000 euros. Appeals can take as long as 7 years making the future not very green for these two German Brothers. This might be their only chance at seeing the outside light if things keep going the way they have gone for these two. What are your thoughts on this story? If these were your brothers, what would you do? Above all, what can we do as a culture and community to help change their fate? Let us know your thoughts on this story in the comments below. If you agree that no one belongs in jail for a plant, be sure to share this story with others.